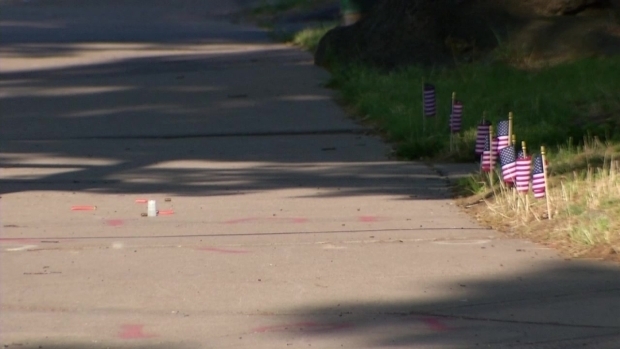 Hartford police are investigating two early morning shootings Sunday that happened minutes apart, sending two victims to the hospital, including a beloved pastor shot outside a church while putting out Memorial Day flags. 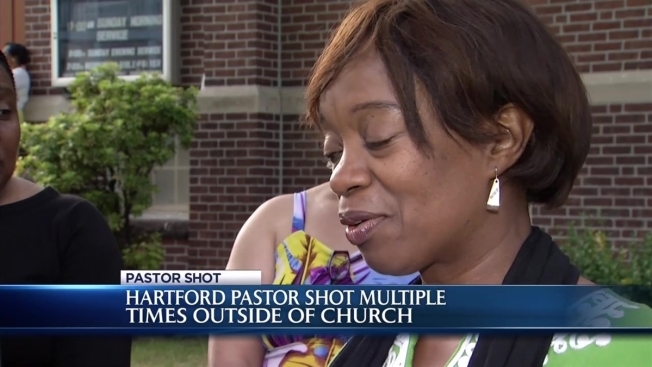 The pastor shot was identified as Rev. Dr. Augustus Sealy, 54, of Shrewsbury, Massachusetts. The victim of the second shooting was Robert Jones, 27. Police responded to the first shooting at 932 Capitol Ave. near Newton Street around 6:30 a.m. Sunday after receiving multiple 911 calls. When they arrived, they discovered a male victim shot multiple on the road outside the First Church of the Nazarene. The man, Sealy, had two gunshot wounds to the right leg and one to the left shoulder. Shortly afterwards, at about 6:41 a.m., police responded to 402 Garden St. for a report of a male victim who had been shot at least six times. He was initially listed in critical condition at St. Francis Hospital's emergency room after multiple gunshot wounds to the torso and arms, but now he was later listed in serious but stable condition. Police found him on Mather Street near Garden Street and confirmed a crime scene at the address given. Witnesses saw a vehicle possibly connected fleeing the scene in the southbound direction on Garden Street from Mather Street. According to church official Elton Adams, Rev. Sealy was outside the church placing flags from different countries in the yard as part of an annual tradition for the church's Memorial Day celebration when he was shot multiple times in the arms and legs. A special service had been planned for Sunday in honor of Sealy's fifth anniversary at the church. NBC Connecticut spoke to Sealy’s wife Sharon, who said he was in a lot of pain, but expected to recover. Witnesses told police they saw a black car heading west on Capitol Avenue slow down as it passed by the victim and that they heard five gunshots. Seven shells were found at the scene. Police confirmed the car was a Nissan Altima last seen speeding in the eastbound direction on Capitol Avenue. Sealy was transported to St. Francis Hospital where he underwent surgery and is listed in critical condition. He is expected to survive, Adams told NBC Connecticut. The pastor, also a licensed psychologist, counsels a lot of people, so Adams said he believes the shooting had to be random. For now, the family is focused on Sealy’s recovery, which is expected to take at least six weeks. “In spite of adversities, you know we look to God for strength and that’s what my family is doing right now,” Sharon said. Members of the church learned about the shooting involving their pastor when they arrived for Sunday services. She said that the pastor is a "very caring" and "comfortable person" who is "easy to get along with." Reverend Henry Brown of Mothers United Against Violence was outraged by the news. "This is sickening. This is ridiculous," he said. "A pastor? You've got to be kidding me. Who would want to shoot a pastor?" Brown says a vigil has been planned for Sealy. The event will take place at the scene of the shooting, First Church of the Nazarene, at 6 p.m. on Tuesday. The Major Crimes Division is investigating both shootings. Police say that it is an odd time for two shootings to come in and it is unknown if they are related at this point. No arrests have been made at this time. As the number of homicides climbed to double digits in Hartford last week, there's growing concern about two shootings on one Sunday morning. Hartford Police Deputy Chief Brian Foley called it an "anomaly" and said that having two shootings in a small time frame "obviously sends up some red flags." In regard to the recent wave of violence in Hartford in the past few weeks, Foley said the department is addressing any preventative measures, including necessary increases in patrols.